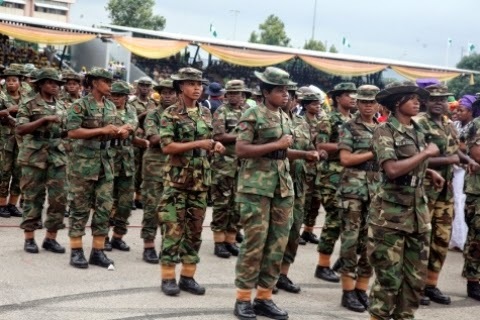 Military has not stopped admission of female cadets into any programme – Defence HQ – Royal Times of Nigeria. 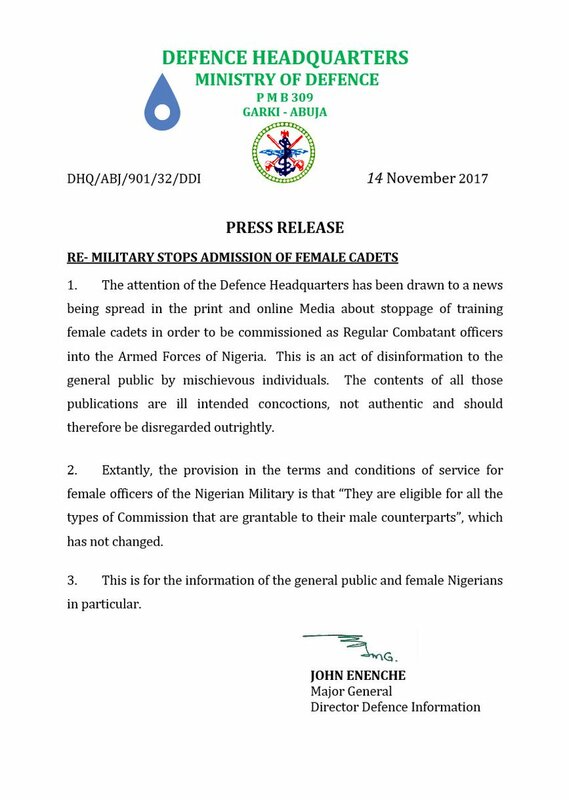 The Defence Headquarters has dismissed reports that Nigerian military has stopped the admission of female cadets into its regular combatant programme. In a statement by defence spokesman, John Enenche on Tuesday, the military described the report as mischevious. Enenche said female cadets are eligible for all types of commission.